GH star, Tristan Rogers holds auction to benefit Project Cuddle. 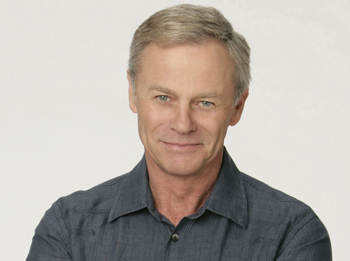 How often is it that General Hospital fans can say that Robert Scorpio needs your help? Well the time is now. Tristan Rogers, super spy extraordinaire of General Hospital and Night Shift, is auctioning off memorabilia from his time on both soaps for a worthy cause. The items that are being auctioned off are four autographed scripts from Night Shift, “The Chemo Cut” package from Night Shift and the trench coat from 1980 that Robert Scorpio wore in 1980 on General Hospital. The scripts are autographed by some of the stars of Night Shift including Rogers, Kimberly McCullough, Jason Thompson, Sonya Eddy, Billy Dee Williams and many more. Project Cuddle is one of the many charities that Tristan Rogers is involved in and it holds a special place in his heart. Former General Hospital star John Stamos (ex Blackie Parrish) is the national spokesperson for this charity, something that Rogers says is completely coincidental. Project Cuddle, a non profit organization, was founded in Debbe Magnusen’s living room to help prevent infants from being abandoned. The Project Cuddle crisis line is open 24 hours a day in hopes to end child abandonment. Project Cuddle has saved over 600 babies since the first phone call in 1996 and has helped thousands more. If you or anyone else you know are pregnant and need help, you can call the Project Cuddle crisis line at 1-888-628-3353 or if you need a Spanish counselor you can call 1-888-483-2323. All calls are confidential and every caller gets a code to ensure anonymity. You can visit the Project Cuddle website at www.projectcuddle.org to find out more information about the organization and the auction. The auction, which is being held on Ebay begins tonight December 1, 2008. If you wish to bid on one of the items, you can find Tristan’s list at his official website.